AMPL is a language for large-scale optimization and mathematical programming problems in production, distribution, blending, scheduling, and many other applications. 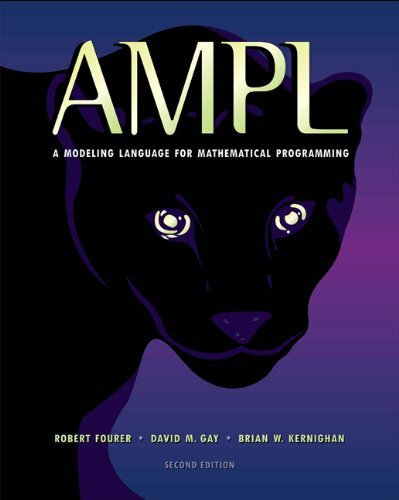 This book, written by the creators of AMPL, is a complete guide for modelers at all levels of experience. Since its release in summer 1994, the Message Passing Interface (MPI) specification has become a standard for message-passing libraries for parallel computations. There exist more than a dozen implementations on a variety of computing platforms. This book gives a solid base for any programmer who wants to use Lua. It covers all aspects of Lua -- from the basics to its API with C -- explaining how to make good use of its features and giving numerous code examples. Racket is a modern programming language in the Lisp/Scheme family. I want to show how Racket macro features have evolved as solutions to problems. I'll give you the questions and problems first, so that you can better appreciate the solutions. A++ is a minimal programming language that has been built on the Lambda Calculus with the purpose to serve as a learning instrument rather than as a programming language used to solve practical problems. It is the smallest programming language.